The reasons why older adults are not as adept at remembering new information as young people are may be due to several factors, a new study suggests. As they age, adults lose tissue in the prefrontal cortex of the brain, which then disturbs sleep, and the sleep disturbance then interferes with memory. The study was headed by Matthew Walker of the University of California, Berkeley, and findings were published online yesterday in Nature Neuroscience. The study included 15 older adults and 18 younger adults. Walker and his colleagues found that in the older adults age-related medial prefrontal cortex atrophy was linked with reduced slow-wave sleep, which then mediated the impairment of overnight sleep-dependent memory retention. Moreover, this memory impairment was linked with reduced task-related hippocampal-prefrontal cortex functional connectivity. "This important study demonstrates that disrupted slow-wave sleep, potentially mediated by structural brain atrophy, contributes to impaired consolidation of episodic memory," Brent Forester, M.D., a Harvard Medical School psychiatrist and chair of the APA Council on Geriatric Psychiatry, said during an interview with Psychiatric News. 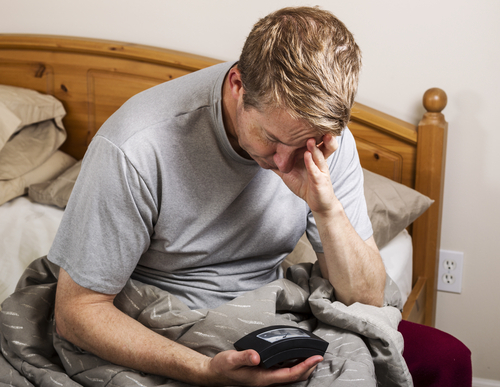 More information about sleep disorders in older adults and how to treat them can be found in the American Psychiatric Publishing book Clinical Manual for Evaluation and Treatment of Sleep Disorders. Also see a review in Psychiatric News.